Today’s post takes you through the steps of optimizing SMA portfolios through Orion’s new ASTRO tool and how it benefits portfolio managers. 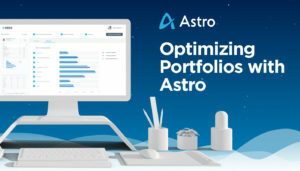 The post Optimizing SMA Portfolios With ASTRO appeared first on Orion Advisor Services. Orion's direct-indexing tool for Advisor Strategy and Tax Return Optimization (“ASTRO”) will become available to all financial advisors on the Orion platform on March 1, 2018. The post Orion Leads the Next Investment Management Revolution with Powerful Direct-Indexing Service appeared first on Orion Advisor Services. Orion’s advisory fee billing solutions offer all the tools your firm needs to calculate, collect, and stay on top of outstanding invoices. The post Advisory Fee Billing Can Be Simple with Orion’s End-to-End Billing Solutions appeared first on Orion Advisor Services. 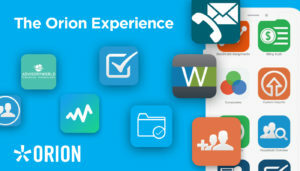 The Orion Experience Is More Than Portfolio Management. Here’s Why. What is the Orion experience? It’s a comprehensive approach to helping advisors create memorable moments for their clients. Learn more in today’s post. The post The Orion Experience Is More Than Portfolio Management. Here’s Why. appeared first on Orion Advisor Services. Learn more about Orion’s AdvisoryWorld Integration to see how to incorporate deep data insights into your reports. The post Research Holdings with Orion’s AdvisoryWorld Integration appeared first on Orion Advisor Services. In today's Orion Weekly, you can learn about all-new ways to interact with Orion, and read a new story about how the first trades in Eclipse relate to the storied Buttonwood tree. The post Orion Weekly: New Ways to Interact with Orion appeared first on Orion Advisor Services.